A week before our scheduled time of departure Joyie was having trouble with nausea. We called Letty, our friend, to inform her that we won't be going anymore. She tried to insist that we go but we decided otherwise. It was embarrassing to cancel the trip days before leaving but we can't risk the baby she is having just because we want to. Fortunately two days before departure, Joyie started to feel better. I thought our Chiang Mai trip planned several months back to celebrate the New Year won't transpire. She asked me to call Letty back and everything was fixed in a jiffy. A van was rented and was ready to go. As for the accommodation, special thanks goes to ate Leonie Gamboa Thongsrichun who was kind enough to let us stay in her comfy abode. Perhaps next time again ate hehe. It wasn't cold when we arrived. Normally, temperature plays lower than 10 degree Celsius in the city, or lower to freezing winter nights in the mountains like Doi Inthanon, Thailand's highest peak. Moreover, it was still cooler compared to central and southern provinces. The traffic was a nightmare and we were stuck for like forever. 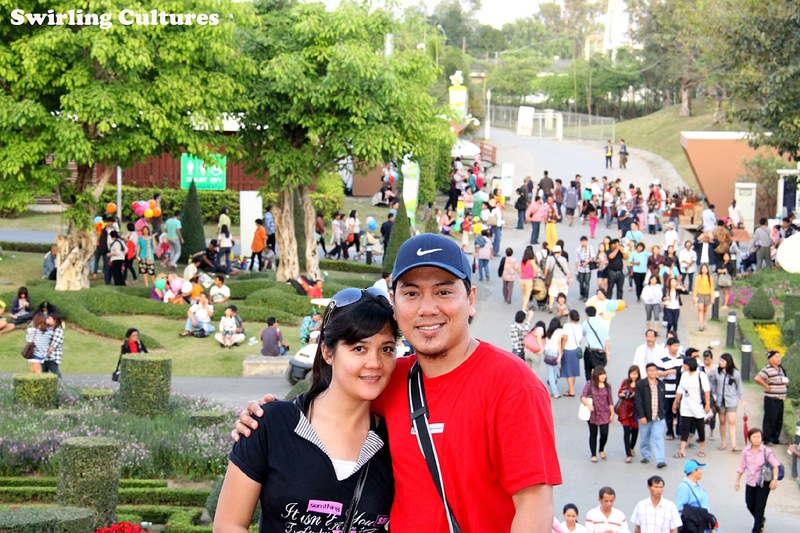 We were told that long holidays such as New Year is not a good time to visit Chiang Mai. It took more of our time, seriously. 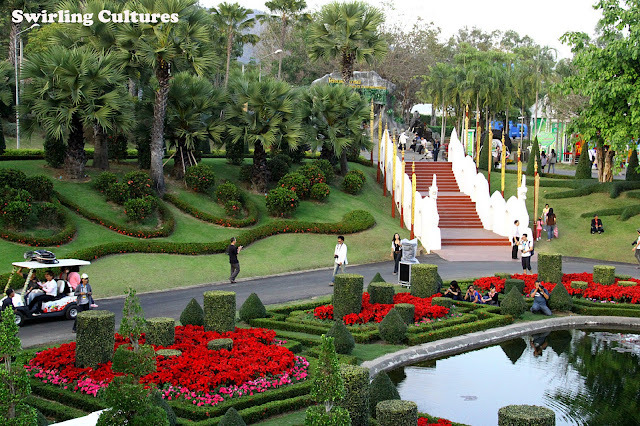 Anyways, we first visited the Royal Flora Ratchaphruek and was awestruck by the beautiful display of colorful flowers. The park was jam-packed and it was difficult to roam its way too big area. But if you want to see the entire park you can visit the Royal Pavilion which offers a great view of the garden. Good recommendation for flower freaks and to someone who simply loves flowers. 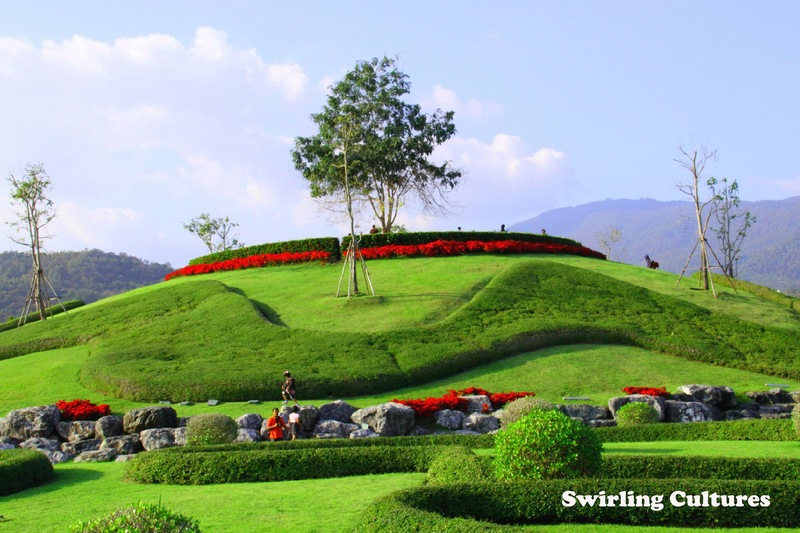 This garden park should be on your list if you find your way there. 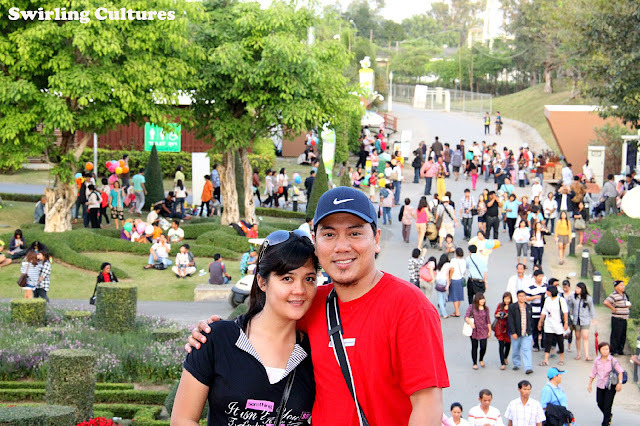 PS: More photos about Chiang Mai will come out soon! wow! have been to chiangmai but have never been to this park. this is just sooo beautiful! would definitely go to this place when we go back to Chiangmai! @ Raya, Don't miss this again ate. One of the best, promise! @ Michelle, Thank you. Yeah, it was our baby that we were most concerned about when we were still not sure if we can go. Good thing the trip transpired.